A young woman made an appointment for an abortion. Her boyfriend told her that he would leave her if she didn’t get one, and her friends told her that abortion was her best option. When she showed up at the abortion clinic, she had forgotten her ID and was told she would need to reschedule. When the next appointment came, her car would not start. Her boyfriend pressured her to schedule an out-of-state abortion because she was too far along in her pregnancy to have an abortion in Indiana. When she finally refused, he left. Yesterday, a 14-year old girl and her father came into one of our centers requesting a pregnancy test and abortion information. When she saw that the test was positive, she sobbed. Her counselor spoke with her about the development of her baby. She was shocked that in just seven and one half weeks, how fully formed the baby was. The counselor invited her father into the room and she disclosed the test results. He also broke down and cried. She said, “Dad, I thought I wanted an abortion, but I don’t think I do anymore.” Wiping away tears he replied, “Your mother and I have never told you this, but you were an unplanned pregnancy. We were planning on aborting you. Just before our abortion procedure appointment we said, ‘We can’t do this – we LOVE this baby!’” The girl embraced her father and said, “Oh Dad, thank you for letting me live!” They held each other and cried. There was an ultrasound technician working at the center that day who was able to perform an ultrasound immediately. As the father and daughter saw the tiny life on the screen, it sealed their decision. Abortion was no longer an option! The gospel was presented and they both stated that they knew Jesus Christ as their Savior. What a beautiful story of Life! If you want to be a part of this loving effort to help those ensnared in sin find freedom, please consider volunteering. 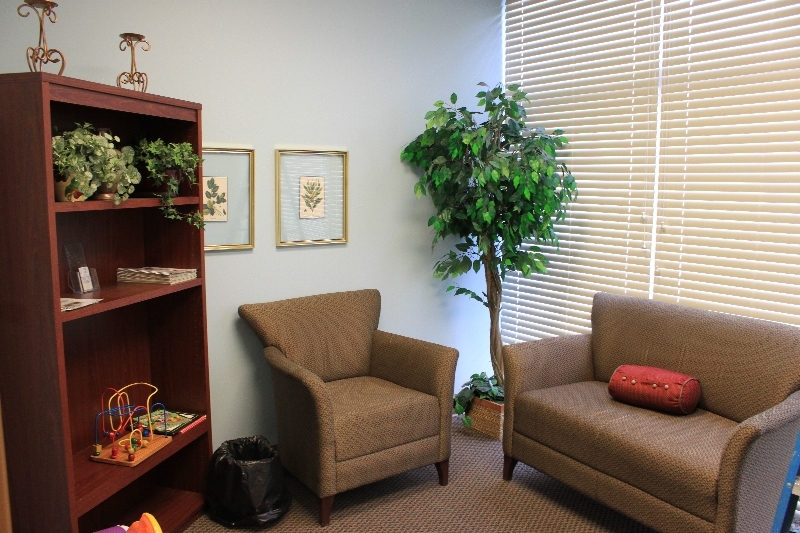 “It looks amazing!” Those were the words of Brooke Seibel, the Life Centers Downtown Director. Just before Christmas, a local commercial painting business owner contacted Life Centers and offered to send his crew to paint anywhere Life Centers needed, at no charge. We took him up on it by sending him a list of seven centers that had varying degrees of painting needs. During the break, they painted the entire interior of the Downtown center. It had been six years since it had been done and the transformation was evident. Because of his kindness and sacrificial giving, our clients at the Downtown Center have a beautiful and warm setting to receive words of life. We would like to thank Bob Sands and Indiana Painting Company for their help. If you have a business or service and would like to use it to bless Life Centers in some way, please contact Brian Current at bcurrent@lifecenters.com or 317-968-9130 to talk about it. Over the course of the past three months, our staff has been quite busy preparing and planning for 2014. All eight of our pregnancy centers continue to remain very busy with clients looking to us for a multitude of services such as, free pregnancy tests, ultrasounds, and support services, including diapers, formula and baby clothing. None of this would be possible without the generous support of our donors and volunteers working in each of our centers.